A mere five years after the offence, NME finally got around to apologising to Morrissey for accusing him of being a racist. The former Smiths singer had taken libel proceedings against the music weekly after the offending article was published. The magazine called the issue "a misunderstanding", which seems like something of an understatement. 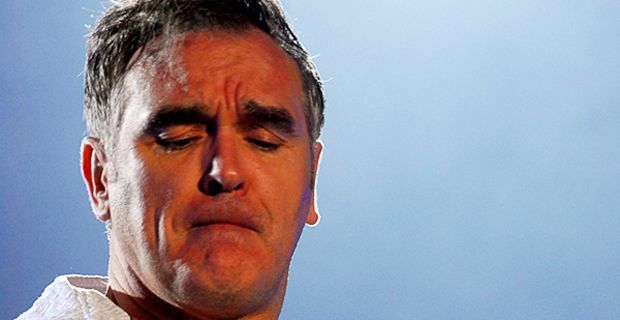 Morrissey had complained that an interview with NME had been presented and edited in a way that made him seem like a reactionary with racist views. The paper had attempted to strike out the possibility of a libel case last year on the grounds of considerable delay, and the difficulty of recalling 2007 editorial decisions, but that argument was rejected in court. At the time Morrissey insisted on pursuing the case. "In 2007 the NME viciously attacked me and labelled me a racist and a hypocrite," he said. The NME made it clear it wants to put the controversy behind it. Their statement said: “We wish to make clear that we do not believe that he is a racist; we didn’t think we were saying he was and we apologise to Morrissey if he or anyone else misunderstood our piece in that way. We never set out to upset Morrissey and we hope we can both get back to doing what we do best." The apology is an olive branch, but falls short of admitting that quotes were warped or fabricated in the offending article. Morrrissey may decide that further action would be too costly or convoluted to pursue and be willing to move on with his solo career.